Campervan Holiday With Barking Dogs. A campervan holiday – perfect for the dogs. Or so you might think. The holiday season is approaching and many people want to take their dogs. So they get a campervan. I have just been to a second couple with a campervan and dogs that bark at approaching people. The question is, how, in just a few weeks, can dogs who so frequently rehearse barking at people approaching their house be taught not to bark when people approach the campervan? This time it’s Ruby, a rescue Lurcher, joined by Border Collie Mia who they’ve only had for three weeks. 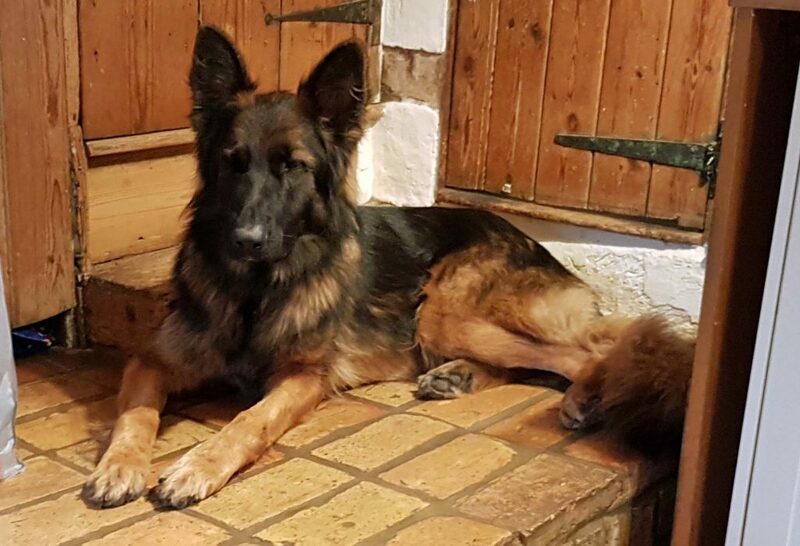 Both have wonderful long off-lead walks and are laid-back in the house. People coming up the drive. The family share a common drive with other houses. Ruby literally leaps into action if anyone comes up that drive. She jumps the fence to warn both neighbours or deliveries away with aggressive barking. In her mind it works. It’s very intimidating for the people. They are now raising the fence. 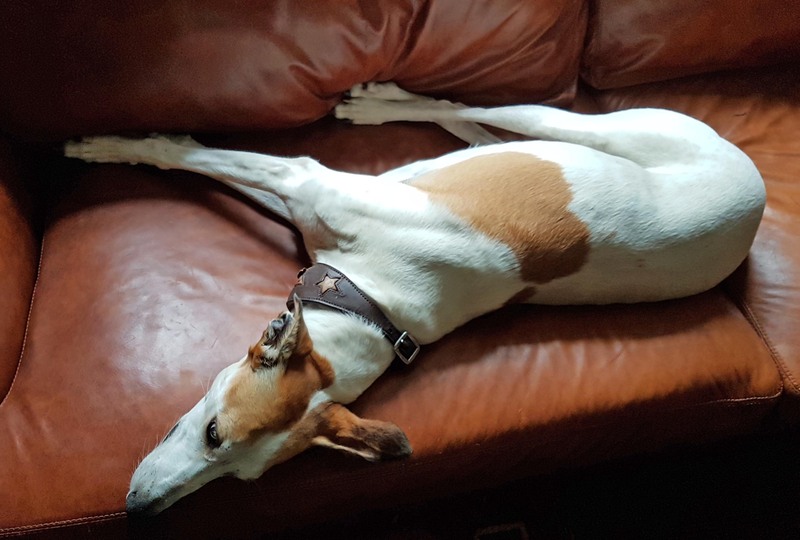 Sadly, the five-year-old Ruby won’t have been sufficiently habituated to different approaching people from the start, when she was a puppy and young dog. She is now accepting of people when out and once they are in the house so long as she’s left alone; she’s fine lying down in the pub with people approaching or walking past. But their home is their castle. Their campervan is their mini-castle, also to be guarded. Constantly proving at home that aggressive barking drives people away, Ruby does the same from the campervan, now joined by Mia. At home, the couple will now need to work on getting the dogs to accept, welcome even, people coming towards their house. They will also need to work on getting the dogs to accept people coming towards the campervan. As with my last story, they can park the campervan in a variety of different places and ‘people-watch’. As with Billie and Shaun, other dogs aren’t a problem – it’s people. Passing people provoke less reaction than people directly approaching, so that is where they will start. The equivalent to the raised garden fence will be a board which they can put in the doorway of the campervan. When the door is open, the dogs, from inside, won’t see people approaching unless standing on their back legs. Now, with sudden explosions dealt with by blocking the dogs’ view, they can deal with getting them to at least tolerate people approaching. They will do this in a sytematic and controlled way as per our plan. At home the neighbours will help, I’m sure. Over time they will be associated with either food or fun. The campervan is a different matter with different people about and the van itself parked up in different locations. Dogs are like a magnet to dog-lovers! I know the feeling but control myself. We need to be quite forceful in protecting our dogs from unwanted attention. It would be great if the dogs became so used to different people approaching and walking past the campervan that they ignored them. A big ask. They need a lot of weekends away! Assistance Dog. Assistance Human. Companion. The young owner and her dog have a special partnership. 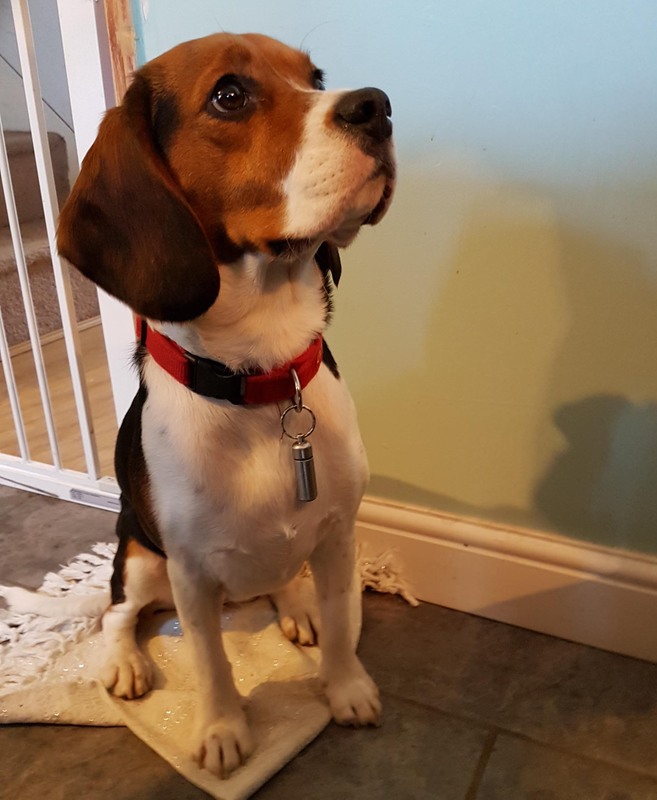 Her aim is for the 21-month-old Beagle, Lulu, to become her trained assistance dog, particularly giving her confidence where meeting people when out is concerned. A Beagle for an Assistance Dog? Beagles are renowned for being friendly, gentle and affectionate. They aren’t however renowned for great recall – genetically bred to hunt. However, over the past few months Lulu’s young owner has been studying dog behaviour and is already very switched-on. She has been working very hard. Lulu’s recall is great. There are some hurdles to overcome. Where Lulu may not be so typically Beagle is where her wariness of people is concerned. This is something that will need to be resolved if she’s to make a good assistance dog. The young owner has already made great progress with people approaching directly or coming too close, but there is a way to go. Most of us know how difficult it is to stop a determined ‘dog lover’ from coming up to our dog, looming over and putting a hand out to touch her. She will need to become accepting of this. A ‘Dog in Training’ vest should help. Her role as assistance dog will also require Lulu to be fairly bomb proof to sudden noises and appearances. It will require that she is much more chilled about people coming into her home. My job as a general behaviourist is to help the young owner to build up Lulu’s confidence. From there they will get more specialised help from someone who works specifically with this kind of assistance dog. Recently the young owner moved back home where Lulu joins two other dogs, Nettie, a Labrador Staffie mix, and a little terrier. With three dogs and five people in the household, there is a lot more excitement. Callers coming to the house are posing a problem at the moment, with both dogs barking initially and again if the person gets up and moves about. Strangely, Nettie didn’t do this before Lulu came to live with them. Now Nettie starts it off! When the two dogs regularly bark at passing people and other dogs from the window or the garden, they are, to their minds, chasing people and dogs away. It works. Where Lulu reacts to people, Nettie reacts to other dogs.They are rehearsing the very behaviour that’s unwanted when they are out. Underpinning everything is for all three dogs to be a lot calmer. This can only happen if the humans themselves are calmer with them. 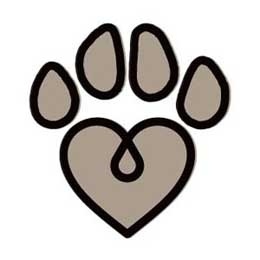 Reducing barking is a large part of the calming down process. Family members can help too by not playing hands-on vigorous games, along with not getting the dogs excited when they return home. It’s not necessary. We humans don’t greet one another in that way after a few hours apart, do we. Lulu’s assistance dog role will be needed most when they go out. Both dogs pull on lead and are usually walked separately. When she has calmed down, however, Lulu can walk nicely – I have seen videos. The road walks will begin with just hanging around near to the house and waiting for calm. Now Lulu needs two things. She needs to learn to walk nicely beside the girl when ‘on duty’. She also needs ‘Lulu time’. I suggest more frequent very short walks to work on technique, with a Perfect Fit harness (D-rings on both back and chest) and double-ended training lead. 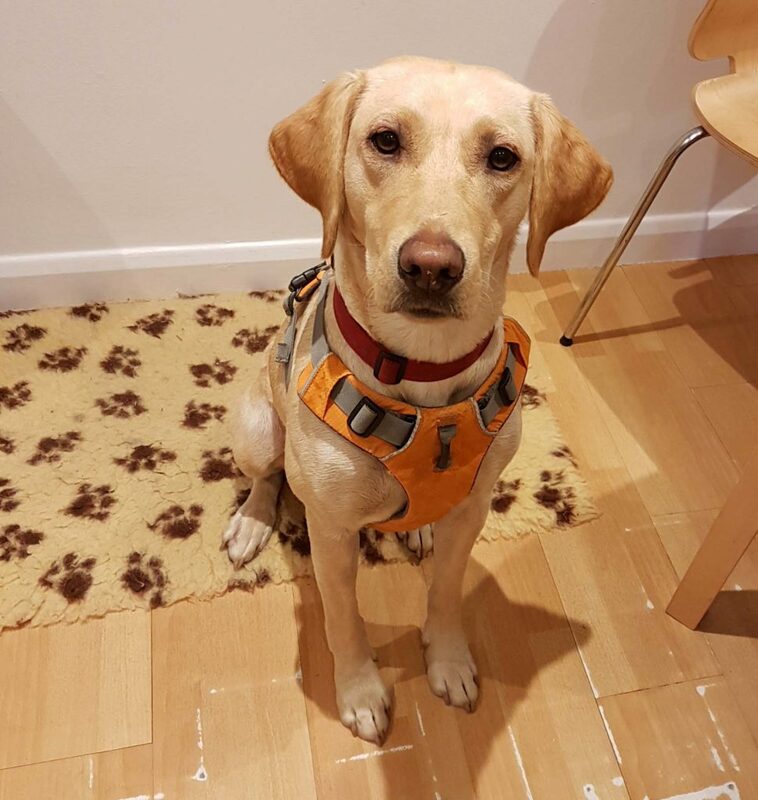 Lulu can learn to feel the difference between how the harness is used when being asked to walk nicely and when she can have a bit of freedom – ‘off duty’. Walking nicely beside the girl can be prompted by attaching the lead both to the front and chest. After a few minutes of this, one end of the lead can be unclipped and left on either front or back only. Lulu can now be given full length and the girl can allow Lulu to lead her where she wants (within reason). Lulu can choose. Because her recall is so good, Lulu can then be taken to somewhere open where she can be free to let off steam, run around and sniff. Where encountering people is concerned, they will continue to work with Lulu’s wariness of approaching people using the ‘Engage/Disengage Game‘ which involves keeping as much distance as is required. So, it’s ‘Operation Calm’ to start with, to establish firm foundations. Lulu may soon be in training to become a proper Assistance Dog; the girl is already Lulu’s Assistance Human!